If you are reading this, changes are big you’ve got a serious case of wanderlust. We all do. Wanting to travel as far, as much and as long as possible. But, we tend to forget that sometimes, far and long isn’t necessarily what we need. If a 10 day break is all you need, want and can pull off, there are still plenty of places to go where you will feel just as far away as if you traveled all the way to the other end of the globe. We shouldn’t forget those little gems closer to home. One of those gems is the medieval and exotic isle of Malta. Here’s the ultimate Guide to find your way. Hidden between Italy and Africa, Malta is easily overlooked. A shame, since those pristine beaches, ancient cities, spectacular cliffs, amazing architecture and so much more, is worth every bit of your attention. 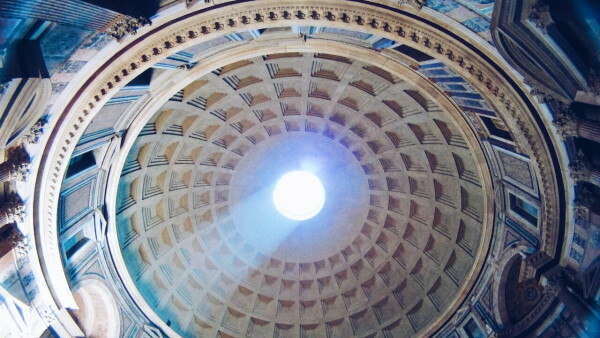 Whether you want to dance all night long in one of the many bars in St. Julian, work on your tan in Qawra, visit ancient ruins or sniff on some culture in Valetta, you’ll enjoy every bit of it, hassle free. And even though it’s always charming to discover places where you don’t speak the language, the fact that English is the second official language on Malta, makes your trip even more relaxing. Another important detail that will definitely make you want to book: the climate. Between May and October, the average temperature is 26 degrees celsius. Wintertime on the island means an average of 12 degrees. Not too bad eh? Malta is also home to one of the best dance festivals in the world, enough reason to visit! 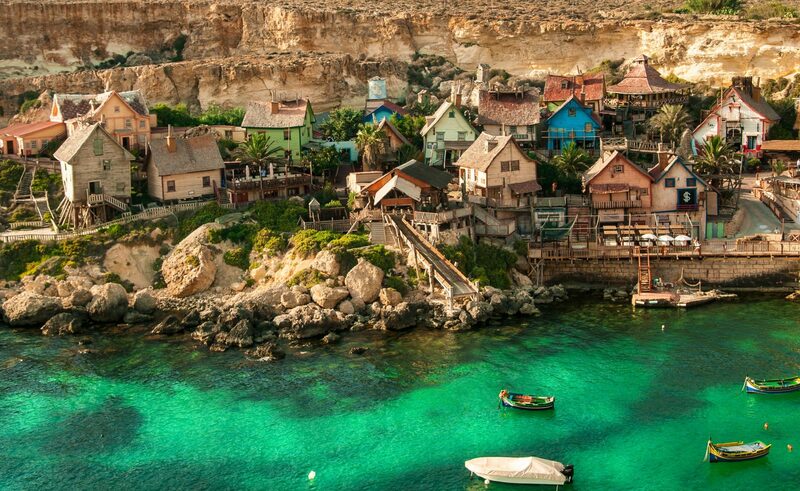 There a enough villages on Malta where you can book your stay, from simple apartments to all-inclusive resorts. Where to stay all depends on your main goal of the trip. Want to head over to one of those resorts? Then Qawra, Bugibba and St. Pauls Bay are your towns. However, don’t expect much of the true Malta here, these towns are full of concrete and tourists. So make sure you have a damn nice resort if this is your home away from home. The true party animals among us should go to St. Julian. This is one of the most vibrant towns, filled with clubs, bars and cocktails. You’ll dance the night away and thanks to the many happy hours, won’t feel robbed inside your wallet. The best of both worlds, in my opinion, is the more relaxed but still bustling Sliema. 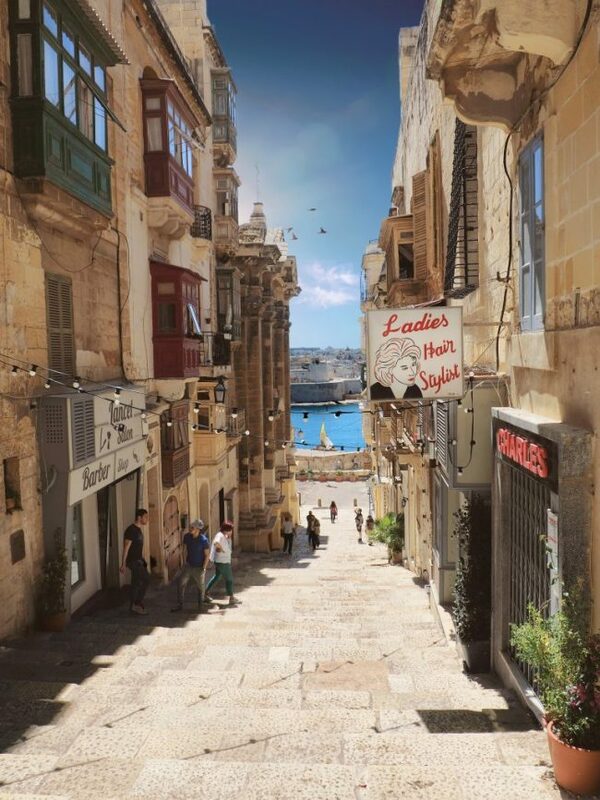 This seaside town, across the water from Valetta, offers nice walks down the boulevard, some great restaurants, good places to stay as well as some more quietness. It’s not about the destination but about the journey’ couldn’t be more true here. Since Malta is home to so many different types of fun, there is one thing you definitely need to do: grab the bus. 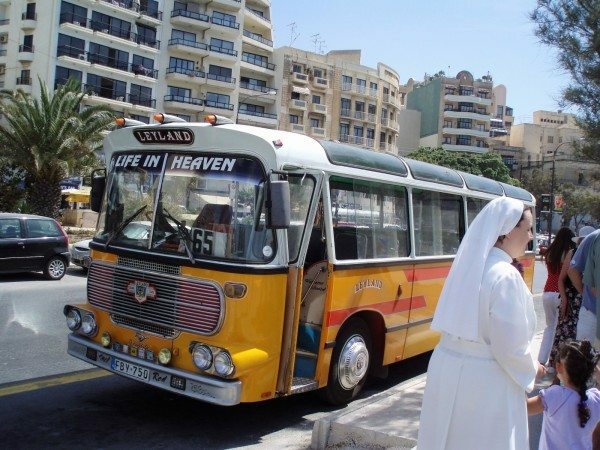 Until 2011 the island was populated by a large amount of bright yellow, orange, blue and red oldtimer buses, most of them enhanced with religious artifacts of the owner of the bus. It was a sight to be seen and even more an adventure to drive. Unfortunately those buses have disappeared since then, but that does not mean that it isn’t still the best way to make your way around the country. Just staring lazily out of the window, admiring the landscape zoom by, is the most relaxing way to travel. Best part of it, it’s pretty affordable. Specially when you plan to discover a different part of the island every day. In that case you can buy an unlimited bus pass for 7 days. This ‘ Explore’ card is just 21 euros and will get you anywhere you want, day and night. You can buy these passes at a number of sales offices, including the airport. Just ask for the Tallinja Explore card. Right, so you have your transport all sorted out. Now, where to go? Don’t be scared when they fire the canons that are stationed below the gardens, that just happens. This is the countries’ capital, UNESCO recognized, and it’s fabulous. The city is surrounded by water and makes you feel like you have traveled back in time to the middle ages. It has some beautiful churches, St. Johns Cathedral to name one, harbours and tiny alleys to get lost in. If you want to chill out for a while, reading a book or just watch people (or boats), go the Upper Barrakka Gardens. 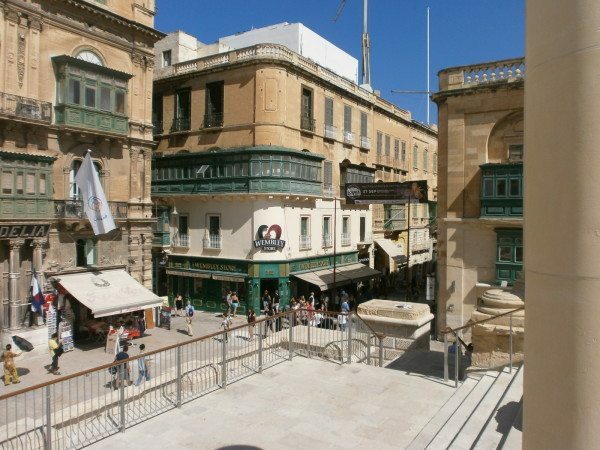 Valetta offers lots of little and big cafe’s and terraces, restaurants and bars. And of course a ton of nice little shops, museums and everything you need for a hot day in the city. Wherever you are in Malta, on almost every street corner they’ll try to sell you a cruise to Comino, a small Island where the water is bluer than blue in the Blue Lagoon. This cruise will sail you along the Maltese coastline, it’s super pretty. However, in the summer season, it’s also super crowded. If you happen to find yourself on Malta before June or after September, take the cruise. Just make sure you pay a little extra for the more luxe cruise on a Turkish wooden vessel, you’ll get everything you need including a little mattress on the deck for sunbathing. Don’t go for the cheaper, massive tourist boats. If you don’t fancy the cruise (in the high-season) or if you are on a budget, take the bus! Go to Cirkewwa in the north and embark on of the ferries to the Blue Lagoon. Once arrived, you can stay as long or short as you like. Go early if you want to avoid the crowds (there will be crowds, trust me, but the water is worth it). Hey beach bum, this is the place to go for a tranquil day in the sand. There is, as far as I know, only one resort near these beaches, so it’s much less crowded than the sandy options near the resort towns of Malta. Ghajn Tuffieha and Golden Sands are next to each other and the bus stop is in the middle of nowhere. The beaches look like hidden bays and you’ll find a lot of locals here as well. There are not many restaurants, so make sure you stock up before you go. All you need to do once you have arrived: find a spot and enjoy. Oh, and to make sure you are back at the busstop in time for the final bus to avoid being stuck here for the night (unless you are up for and adventure, of course). After a long busdrive, you’ll arrive at Ghar Lapsi. At first you will doubt whether you are at the right place and whether you should catch the bus right back. Then you will walk down the street, and see the stairway between the rocks. Climb down and smile, you are in the right place. A natural pool between the rocks is the perfect place to cool down and to chill in the water. Want to chase some fish? Just swim from the pool to the open water, put on your goggles and enjoy the underwater-world. 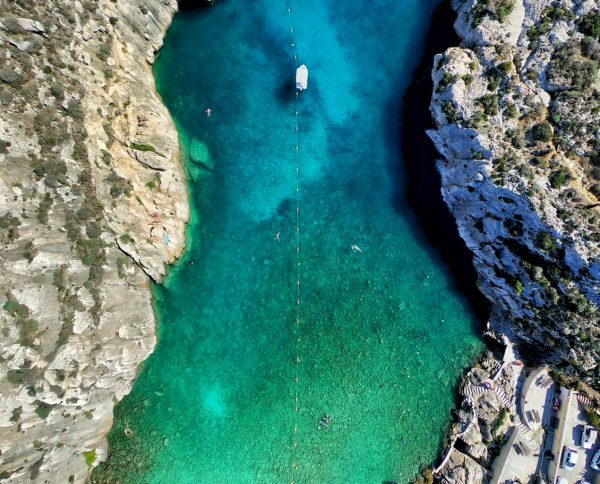 This is a mostly known as a dive site and a far journey from almost all of the villages, so you’ll see more Maltese seniors bathing there than hungover tourists. It’s pure heaven. Exactly in the middle of the island, the medieval town of Mdina arises. Hardly any cars are allowed in this thickly walled city, so you can look around and simply be amazed by the wonder of the buildings, the doors (yes the doors), the views, the smells and the cake. Yes, the cake alone is a reason to catch those buses heading to Mdina. Search for Fontanella Tea Garden, find a spot on top of the city walls, take in the views and the most amazing cakes on Malta. If you don’t mind death by chocolate, take the chocolade one and thank me later. If you’re staying in Sliema or St. Julian, don’t forget a stroll around Spinola bay. Full of nice places to dine or drink or just soak up the many lights and sounds. There is only one word that describes this bay: lovely. 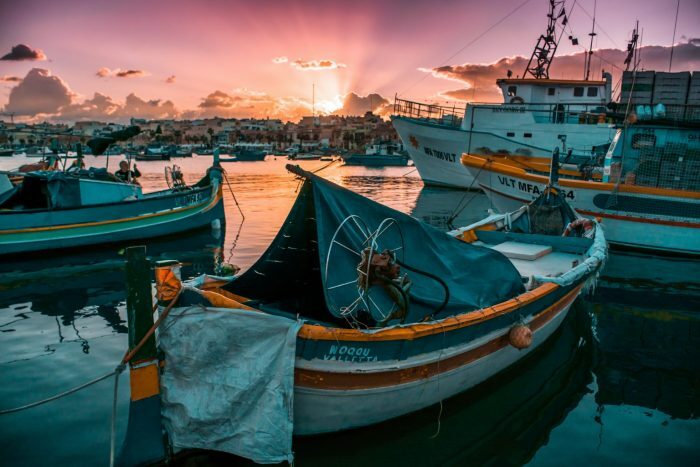 Google Malta images and you’ll find the colorful boats of Marsaxlokk. Not a sight to miss. This little fisher town is not spoiled by large apartment buildings and will give you the authentic Malta vibe. The boulevard is the perfect place to grab a bite, since the many little cafes offer great fish meals for very reasonable prices. If you are there on Sunday, the big market will tickle all of your senses. I think I haven’t covered half of the adventures you can have on Malta, but you get the picture. This is one perfect island, combining sightseeing and other day trips with lazily hanging on the waterfront. There is no need to head over to the other side of the world to experience true adventures. Just make sure to catch the bus on time! We’ve selected our top 7 most colorful places in the world so you can travel and bring some color to your life! Blue Monday has never looked so good. We are totally mesmerized by this beautiful Moroccan village called Chefhaouen. 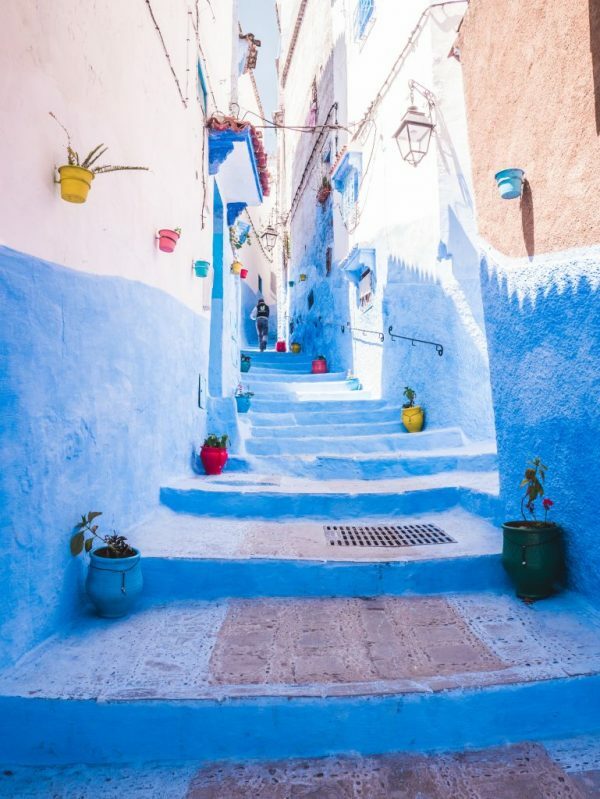 Chefchaouen (or Chaouen) is situated in the Rif Mountains, just inland from Tangier and Tetouan. Founded in 1471, the town now has about 200 hotels & apartments because of the increasing number of tourists. Did you know? That the countryside Chefchaouen region is one of the main producers of cannabis in Morocco. Hashish is subsequently sold all over town, but is mostly the domain of native Chaouenis. 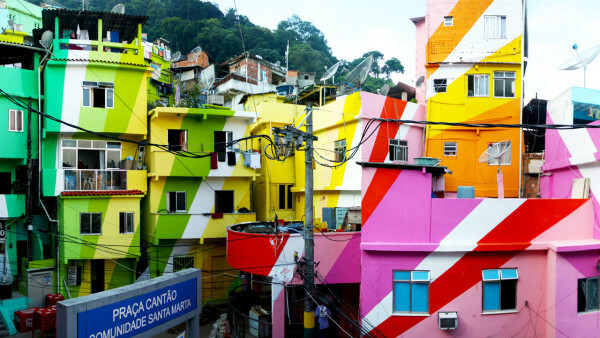 Notorious for their crime wars and poverty, this part of Rio is looking rather colourful since a couple of years thanks to 2 Dutch artists. 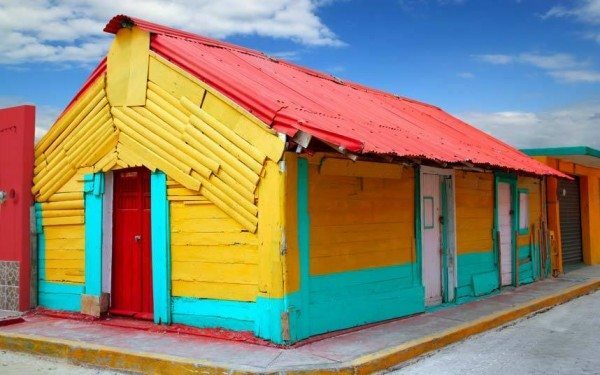 They employ local youth to paint the buildings and houses for a few reasons; Give them something they can be proud of and take them of the streets. We love this and that’s why it’s our number 2. Check their website for more info and other projects. Yes, you knew this one was going to be in the list right? Havana is becoming more popular now that the USA renewed their bond with Cuba. 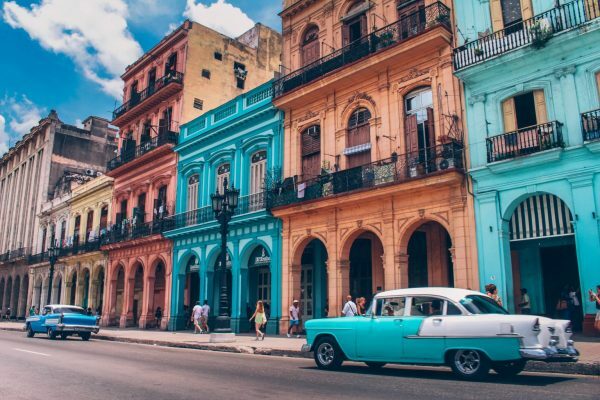 If you want to experience Havana in all it’s original beauty, you must hurry up. We’ve heard that the first MC Donald’s have been spotted.. It used to be only accessible by sea or steep walking routes, but now the milk train provides easy access. 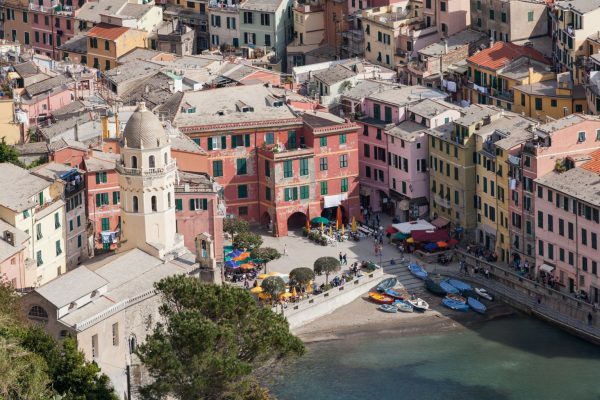 Vernazza is one of 5 villages along the Cinque Terre coast of Italy and the train runs into each of the five towns. The blue sea and the green trees certainly help but this village owns its own colourful reputation. Did you know? That there is a trail that connects all 5 towns together? So bring your walking shoes! All the colors match in Vernazza. Only visit when it’s sunny they say, because you might be disappointed with the pallet of colours as you arrive. 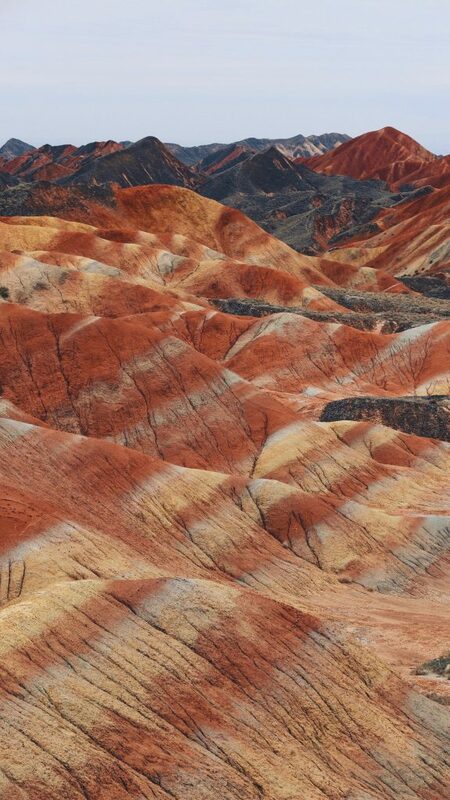 But rainbow mountain still remains something special and should not be excluded from this list. Have you been? During April, May, something beautiful is happening in the Netherlands: Tulip Season! 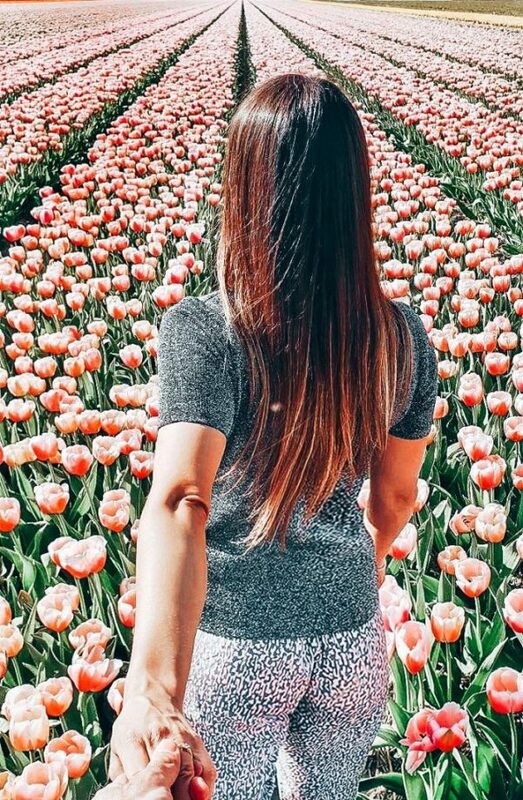 People from all over the world come to look at a variety of tulips in all sorts of sizes and colors. We can’t wait for this year, and we hope to take some drone shots! This city has been on my European bucketlist forever. Somehow I never got the chance to visit Rome but when I planned my Greek Island hopping tour a few months back, it seemed like the perfect opportunity to fly via Rome. With only 2 days to discover this Italian capital, I needed to plan a little ahead to make the most of it. After all, 2 days may seem too short for a city with so many things to see but it can be done! How? 1. Book yourself an Airbnb and stay in an area just outside the centre. 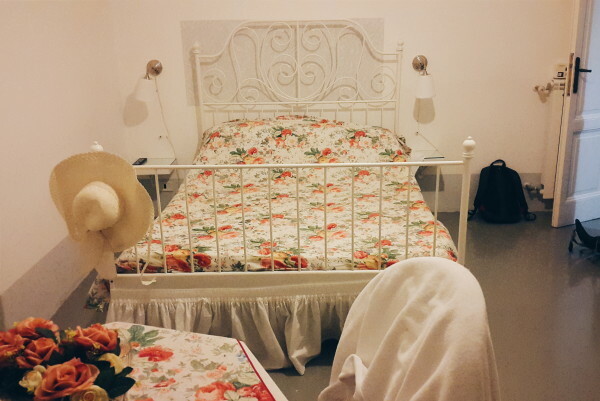 You’ll proberly stay in an authentic italian house with a local host. This way you get real inside tips and information. Rome is very accessible on foot and every area is near to eachother. But Rome wasn’t build in a day so expect to walk a few extra miles! I didn’t use the tram a lot so I walked an average of 7km(!) a day and in this case you might end up with blisters if you bring those: they-only-look-good-shoes. Especially for the main attractions like the Colosseum.This way you can skip the que. During summertime it can be craaaazy busy! Both impressive: The Colosseum and the 2000 year old Pantheon. 4. Eat where the locals eat. This is my biggest tip for all destinations. Don’t eat near the tourist attractions as the food will be overpriced and you won’t taste real authentic food. I had my first pizza at Mirrors pizzaria. Pizza’s cost 6 euro’s and were crunchy and delicious! I had a lovely dinner at Baylon Café where they serve homemade pasta with a twist. I was the only “tourist” in the restaurant (i see myself more as a traveller) and I enjoyed watching the beautiful people of Rome eating and drinking wine. Perfect night. Enjoying the Italian cuisine at Baylon Cafe in Trastevere. 5. Save cash by using the free tab water. 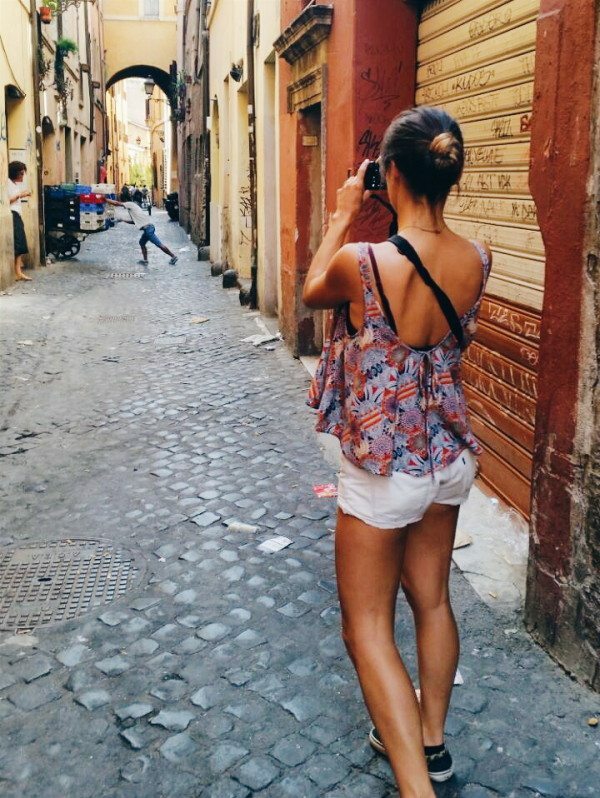 Rome is hot, and in summer it’s boiling. 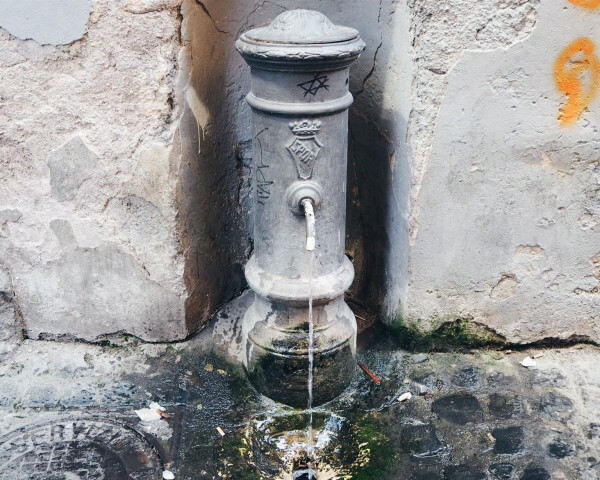 Thank god for the free and very drinkable tap water that you will find throughout the city in little fountains. I filled about 4 bottles a day and I saved money at the same time! One of the many life savers in Rome! 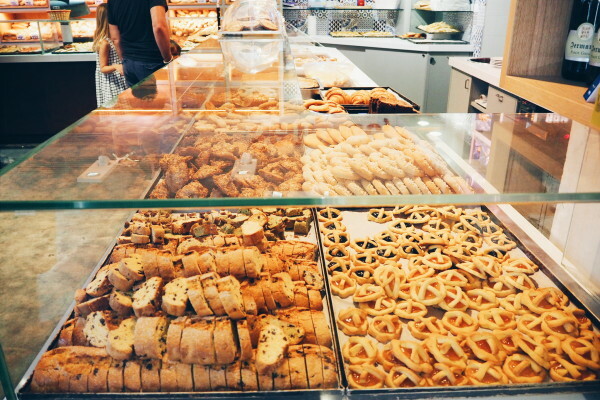 Go to a little bakery/delicatesse shop like Giselda Forno and taste the fine italian cuisine and even better, take it with you while you wander round. Sit in the shade and enjoy! Help, too many to choose from at Giselda Forno! 7. Check the Rome events calendar for special celebrations or nights. When I was there, I enjoyed a special art cinema night by the river with music and films. I found this great website here you can easily see what’s on and when. Have a cocktail at one of many cute bars alongside the water. Make deals with the temperamental market sales men and listen to the occasional karaoke. 9. 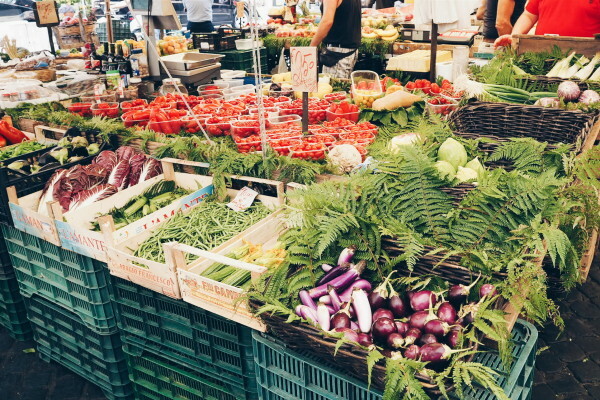 Visit one of Rome’s many markets. From vegetables, herbs and fresh fruit to wine, kitchenware and art. The most famous markets are Piazza Testaccio and Il Traittore. The less crowded but also great are San Teodoro – Circo Massimo and Ponte Milvio. Colorful vegetables and pasta’s at the Piazza Testaccio market. 10. Last but not least; if you can, do not visit Rome during summer. Why not? Well, because it’s just so bloody hot! 30 degrees is a high temperature if you have to walk around in Rome. It was a sticky experience sometimes and it’s not the dry heat you will find in Greece for example. Lucky for me, I like the heat (perhaps it’s because I have Indonesian blood?). If you must go during this period, then you should be aware of this and dress accordingly. 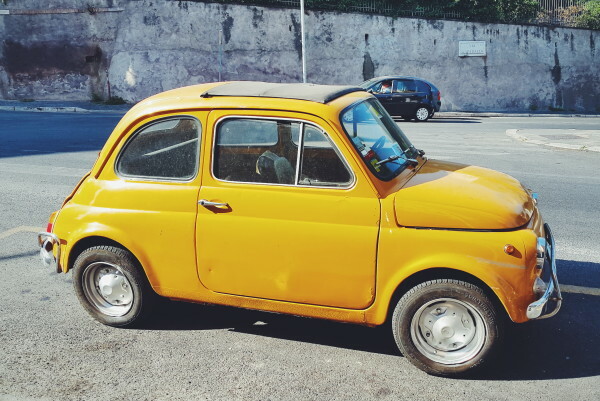 I hope you can use these tips for your next visit to Rome! Isolabona, a new place to visit in Italy! When I was a kid, my parents always visited Italy during the summer holidays. I always loved going there and after a few years it felt like my second home. We always went to the ‘Lago di Garda’ which is a very common and popular place for Dutch people to visit. Last year however, I wanted something different. A friend of mine told me about a similar place, where her parents bought a house and it was suppose to be stunning. It was called Isolabona. I had never heard of that place before so when she asked me to join her, I couldn’t wait! And let me tell you, it’s Italy’s hidden gem. Isolabona is a very cozy small city in northern Italy. It has its own picturesque feeling and it is not that touristic. 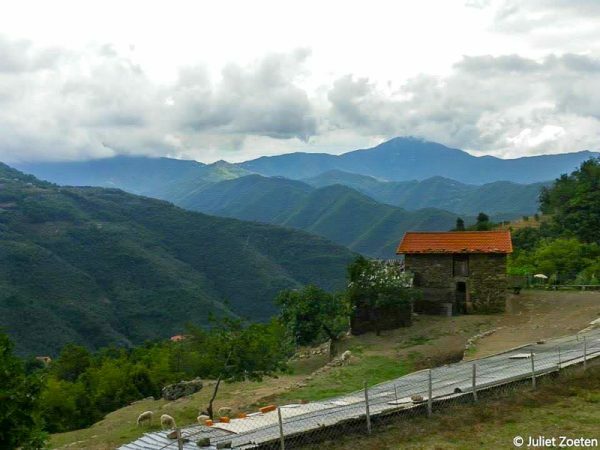 This village is hidden between the mountains and has a beautiful environment for those who love nature! The village is not a typical summer destination for tourists because it is not a seaside resort. But don’t be sad if you are a beach lover because the sea is a 30 min ride away and nothing is more fun than to ride a scooter in Italy! The nicest seaside resorts nearby are called Ventimiglia or Bordighera. Isolabona also has a lot to offer for people who love to do sports. 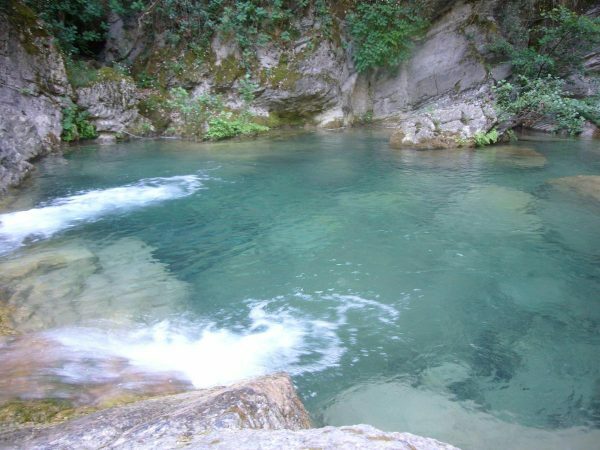 If you want to have a swim a little closer to Isolabona you can go to the beautiful mountain rivers. These rivers are very special due to the ‘water pools’ with crystal clear water. These water pools interrupt the stream and are very deep, which is why they are perfect for a swim! These pools are a little cold but when it is 35 degrees in Italy you would love to cool down like this! You can find these beautiful pools in Rocchetta, Pigna and Dolceacqua. 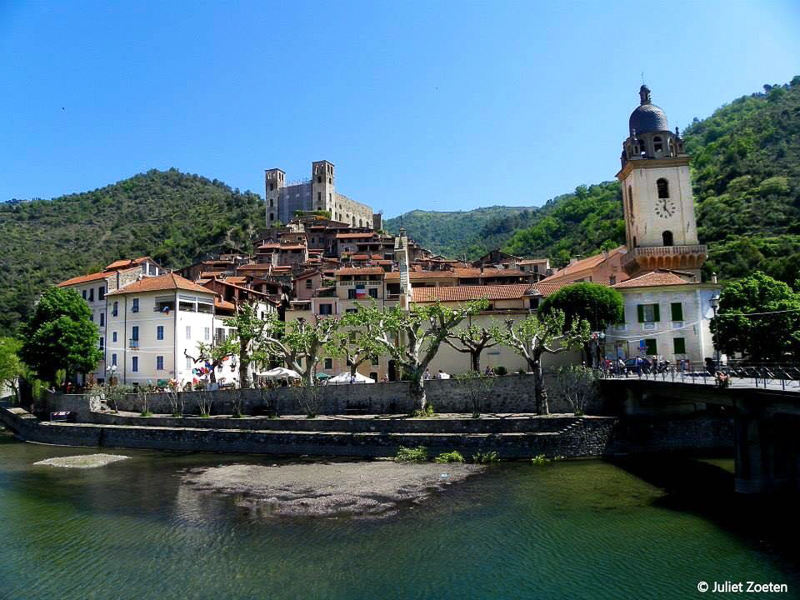 This city is close to Isolabona and the artist Claude Monet found his inspiration here for his painting ‘Le chateau de Dolceacqua’. The city is very adorable and bustling. The bridge towards the city runs over the river Nervia. This beautiful bridge is 33m long and connects Borgo, with Terra. 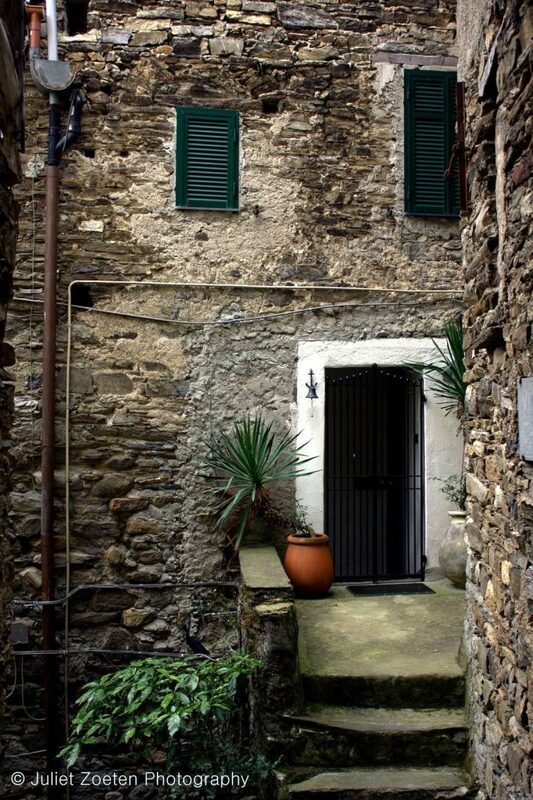 Borgo is the old medieval part of the village and in Terra you can find cute shopping streets and terraces. 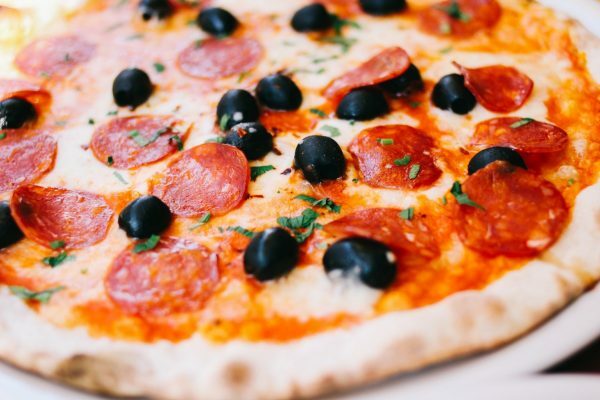 In Isolabona you have Pizzeria dal Vecchio Forno for the best pizza’s! If you are more of a pasta person I would recommend the Bunda Bar, where they serve homemade pasta. 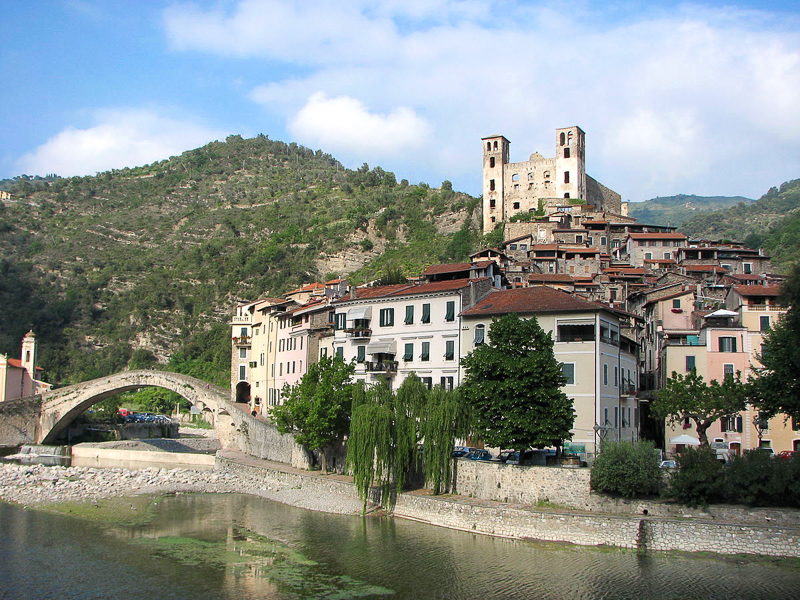 In Dolceacqua you will find Osteria Quattro Gatti The food is very nice but also the employees are very kind. They make sure you’ll have a typical magical Italian night. Even though their food is amazing, don’t order dessert there! I would recommend you to walk to the ice cream parlor next door, they serve the best ice cream ever! Inside Tip: Oh, and for those who really love to drink wine; Dolceacqua has its own wine (Rossese Dolceacqua), and it is delicious! Conclusion: Isolabona is a great spot for your next summer vacation! Even if everything I mentioned before isn’t enough, the area has a lot to offer. For example, you could even go to Nice or Monaco for a day! Both cities are just about one hour drive. So, when are you going to visit Italy’s finest? We all know, Italy is for lovers. And so is Sicily. Lovers of people. Lovers of food. Lovers of ocean views and mountain roads. It doesn’t really matter what kind of love, Sicily is the perfect place to enjoy it. And here’s exactly where to do that in the North-Western side of this stunning island. The small city of Trapani isn’t the first spot people think of when they want to book a trip to Sicily. Which leaves Trapani a little bit undiscovered, always a good thing! It’s the type of town where you will get lost the first few times you walk around the city-center and every time you’ll discover something else to marvel about. Maybe an ancient church, the magnificent views from the boardwalk or a cute little cafe in a corner somewhere. Here you will find the most delicious food and drinks in narrow Italian alleys or on grand marble boulevards. Everything for very reasonable prices. And by reasonable I mean you can go for breakfast, lunch and dinner every night without a worry in your wallet. Feeling romantic? 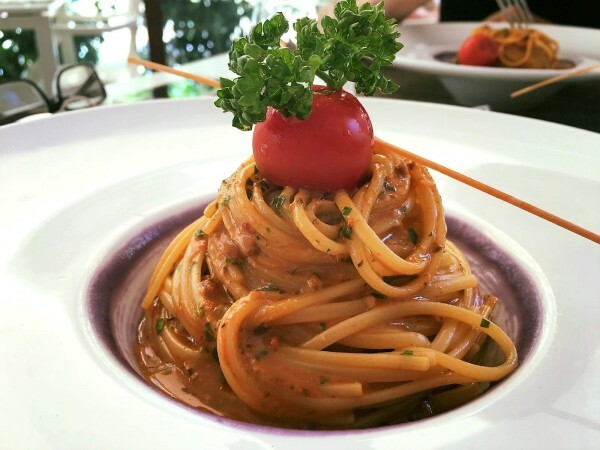 A must-go is Osteria I Vitelloni, situated in one of the main streets in the centre of Trapani. Order the tuna in a pistachio crust and let them pick the wine. But, skip the dessert. 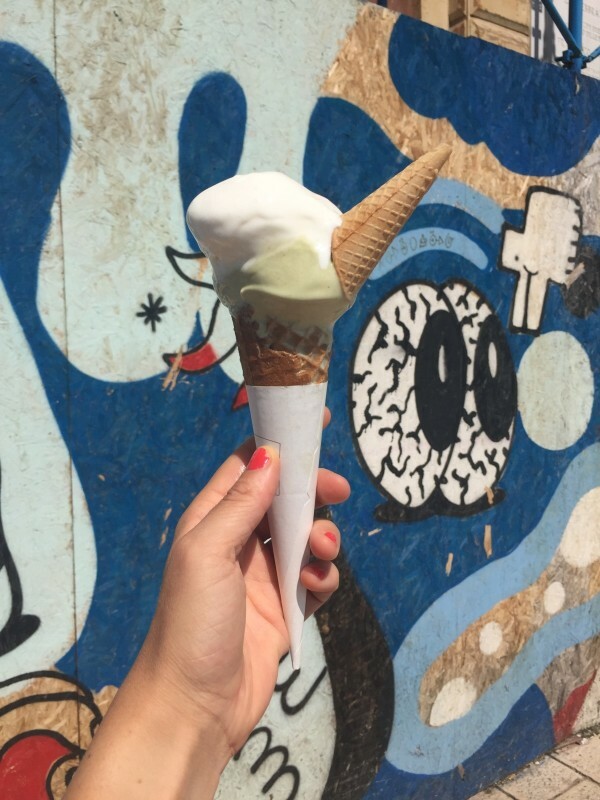 You’ll need some room for an amazing ice-cream at Panna & Co. If that isn’t love in a cone.. You can thank me later. Trapani is also a perfect gateway to a ton of other places you must see while you are on this side of the island. A scooter will take you and your loved one(s) everywhere! Go to Marsala for instance, a famous wine town a little drive to the south. Along the way you’ll see the salt pans this area is known for and feel the wind in your hair. A little more inland (after a fun drive) you can find the majestic temple complex of Segesta. A history lesson has never been more exciting as you climb the ruins and check out those magnificent views. Another piece of the past can be found in Erice, a medieval town which you can find hovering on a mountain above Trapani. Get there by scooter, or by cable car! And try not to get lost in all the bumpy, winding streets. Although I didn’t try it, I have been told you can buy the best canolli on the whole island here (why I didn’t try it myself will always be a mystery). Whatever you do in Trapani, don’t forget to visits the Egadi Islands. They are only a boat ride away but you’ll feel as if you travelled back years in time. The little villages cannot be any more picturesque and the surrounding waters couldn’t be more azure. If you have the chance to stay a few days on one of these islands, go for it. Opting for a day trip? Don’t fall for the tourist trap, the packed boats. If you are on a ‘everything is possible’ trip, book the catamaran. Little more of a budget? Just take the ferry to one of the islands and rent a bike once you are there. Exploring a tiny tiny island together, oh the romance. Trapani is the perfect place to stay and to explore this side of Sicily. However, if you are a beachlover, this town’s city beach won’t fulfil your sandy and salty dreams. Luckily there are some options for you to get your toes touching some lovely blue water. 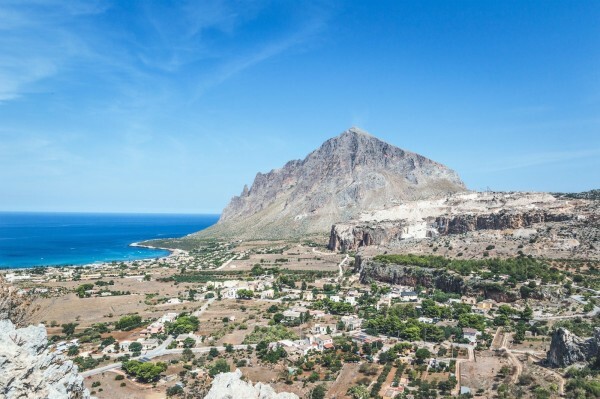 When traveling a lot to find that perfect spot isn’t your cup of tea, then head over to San Vito Lo Capo. It’s possible to scooter there for a day trip from Trapani, or if you want to lounge around the beach for a few days you can book a place to stay. It is a bit more touristy, best don’t expect the Robinson Crusoe vibe and book your accommodation in advance (in the high season from June to August). This little coastal village offers a beach that makes you feel as if you are on a tropical island. There are plenty of cute shops and spots to grab a bite, put on your holiday hat and enjoy. 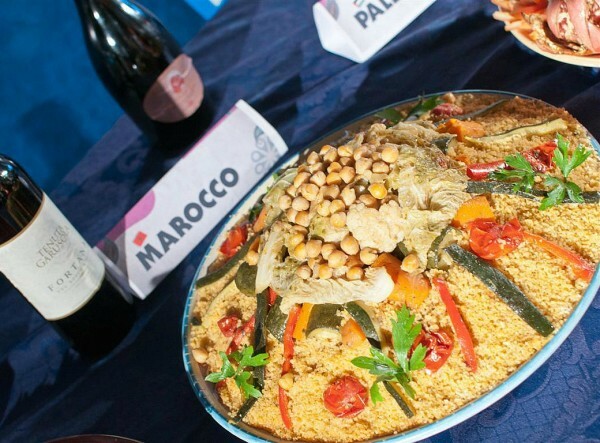 Every year in September they host the Cous Cous Fest in San Vito. Do check it out whenever you are in the area at the right time and feed each other some couscous! Not far from San Vito Lo Capo lies the Riserva Naturale Orientata Dello Zingaro, a nature reserve which holds some beautiful bays with rocky beaches and ridiculously azure water. Bring your goggles for some underwater fun with the fishes! The park is not accessible for cars or any other type of vehicle, be prepared for some hiking. It’s worth it! 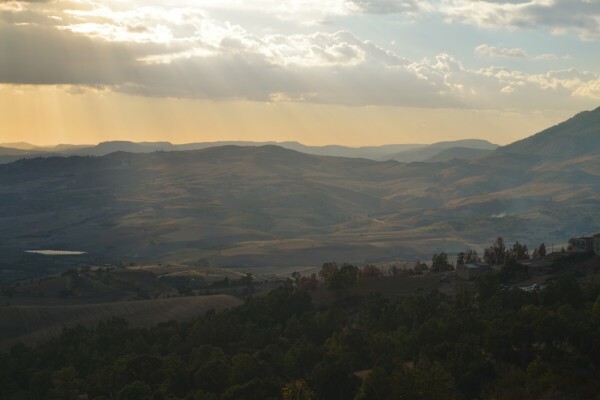 Want to head over to a different side of Sicily to chill? Cefalu is your town! From Trapani you can book a ticket with public transport and it will take little over half a day of travel by bus and train. Cefalu looks like the Italian coastal towns that you see in paintings. It’s got the maximum idyllic factor. There’s lots to do here if you want to, from sailing to an active volcano-island to day trips to other well-know Sicilian places like Taormina. Or you can just stroll through the paved alleys, have an iced-cappuccino every once in a while and stretch your legs on the beach. I have to admit, that latter was how I filled my days in Cefalu. Even if you are feeling the lazy vibe, you should get of your beach bed once to climb Rocca di Cefalu. 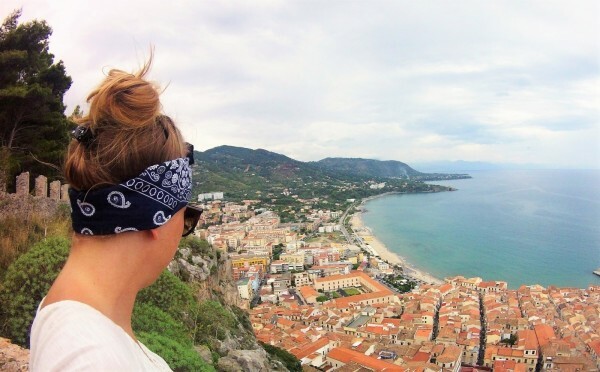 This massive rock towers above Cefalu and will give you some breathtaking views and historical facts. It is quite the climb, leave your flip flops at home and put on some more solid footwear. Once you’re on the top, there are loads of spots for that perfect lovey-dovey selfie. Just like in Trapani, San Vito Lo Capo and probably all the Sicilian towns, the food in Cefalu is amazing and the amount of restaurants to try is enormous. 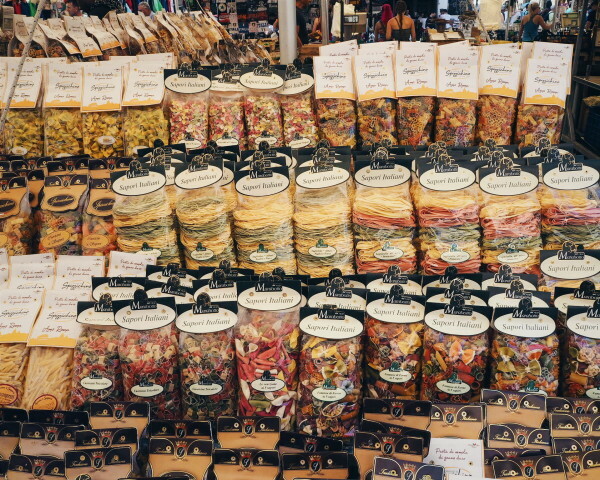 You cannot leave without trying at least five different types of pasta (more is better in this case). Many restaurants have hidden terraces overlooking the sea, be there in time for sunset! 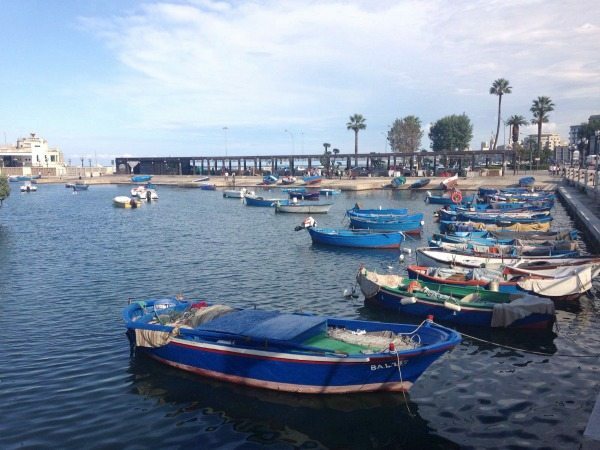 Give each other a kiss, and book that ticket to this North-Western part of Sicily! 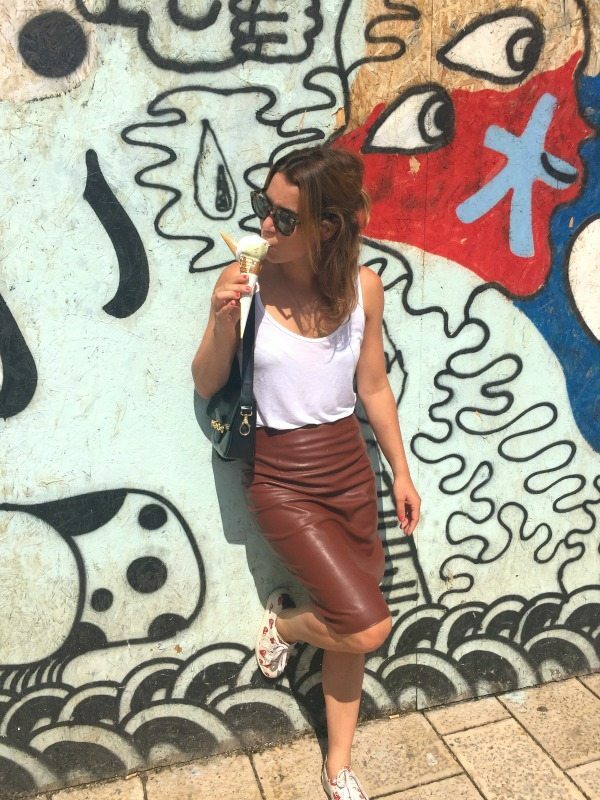 *Jill is one of our guest bloggers living in Amsterdam (@jillgwendolyn) where she works as a content manager for a digital agency. She’s Crazy about traveling and has spend her studies in New Zealand . You can read a new article from Jill in every 3rd week of the month! Bari not as popular as Puglia but it’s definitely worth visiting and I’m going to tell you why! From spectacular gems, top-notch cuisine to historic castles. This town is full of energy and great atmosphere. Bari is a big port city on the Adriatic coast; the capital of the Italian region of Puglia. I stayed here for a few days in an Airbnb apartment close to the city center. 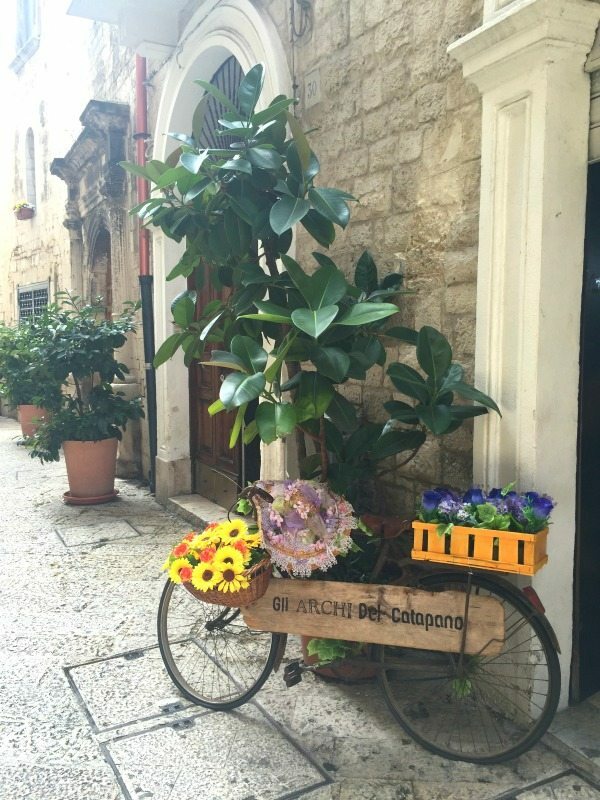 The “old town” of Bari, is a must-se! A very charming town with lots of hidden lane ways and paths and amazing architecture. 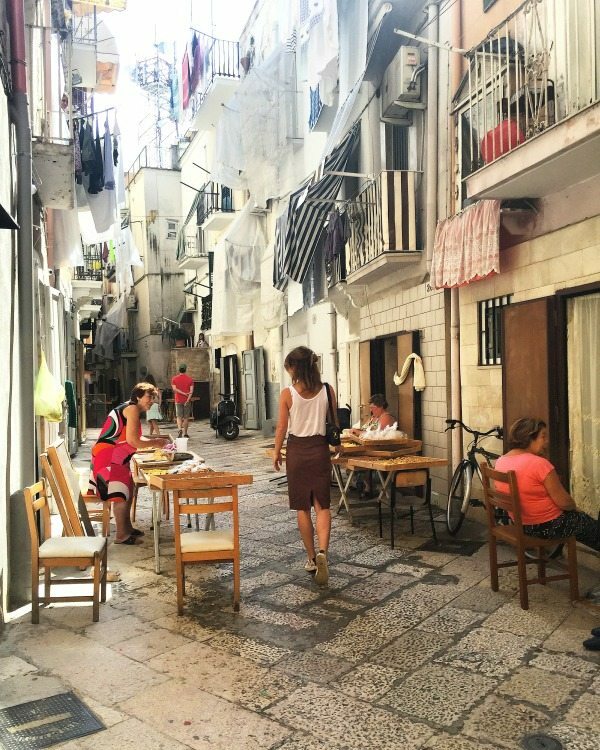 You will see old cute Italian men on the streets playing cards and you will see grandmothers sit outside their homes and roll, shape and sell fresh pasta, orecchiette (or “little ears” pasta are traditionally found and made in Puglia). Lovely to walk trough and stroll Day and Night. Italians do it better than every other in the world, they make the best gelatos! When in Italy I can eat ice-cream for lunch, dinner, and in between meals. I found this place called Martinucci 1950. The flavors were all pure and fresh and my favorite was the “pistacchio” the taste is sublime! Admire almost the entire seafront of Bari at Via Venezia. The seafront walk here is very pretty, decorated with cute street lamps, and surrounded by Victorian style buildings. 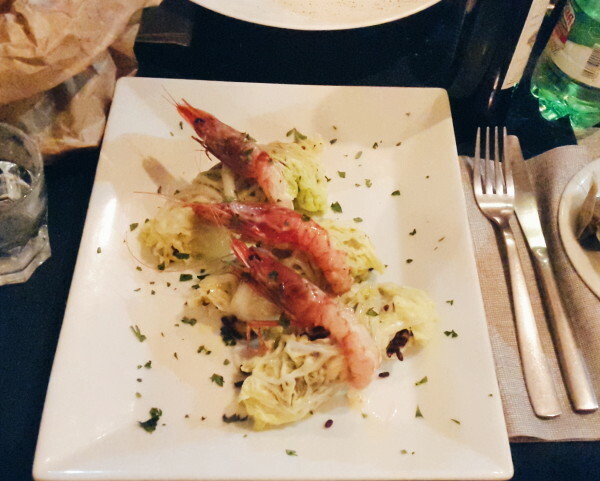 After walking around you should definitely go to La Ciclatera Sotto il mare. This cafe has a nice, small terrace with views over the sea and old walls. Time for an aperitif! One of nice things of Bari is that this city is easy to visit by walk. Walk along the old city walls, with beautiful views of the palm tree lined promenade on the sea. Then Visit the Basilica of St Nicholas, where apparently the bones of the real Saint Nicholas lay buried. Last but not least, visit the Cathedral (Duomo) of San Sabino. Spending time at the beach is also another popular thing to do during a vacation in Bari. In just 15 minutes’ walk you can go from the center to the beach. Discover which are the most famous beaches. The beaches of Polignano a Mare for example, among the most popular along the coast, some rocky, some with golden sand. 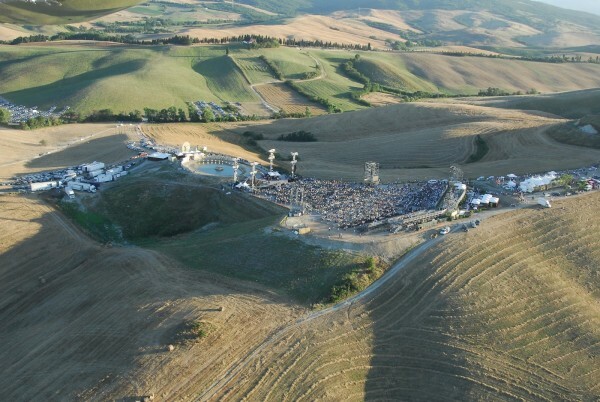 An Italian Summer full of festivals! It seems as if Italy has finally got its mojo back, this year the Italian beaches will be the summer destination of choice for millions of Europeans probably wary to venture to tourist destinations in Turkey, France and Spain. Unfortunately, the terror threat has had a certain decisive factor for many travelers however Italian hotel owners will be the last to complain. 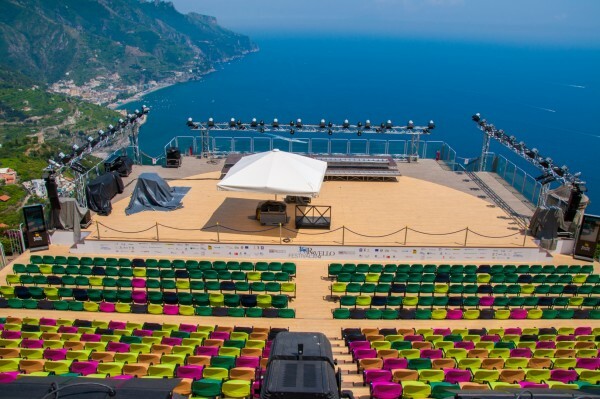 If you are coming to Italy this summer you are absolutely spoiled for choice as there are countless music, theatre and gastronomy festivals, outdoor operas and concerts by international stars. 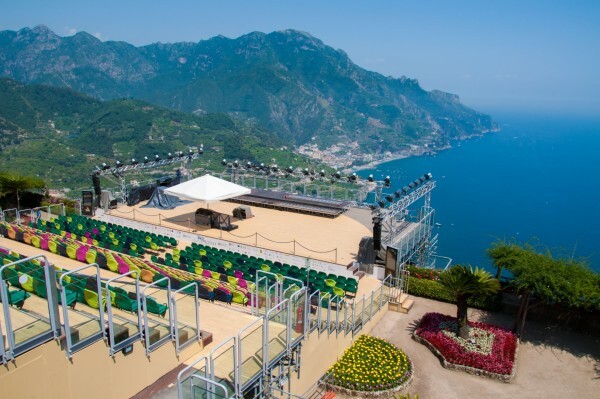 There is still plenty on schedule for this Italian Summer. As it promises to be another long hot summer with temperatures up to 40 degrees in many popular destinations I’m guessing you will be up for some action during the cooler evenings. 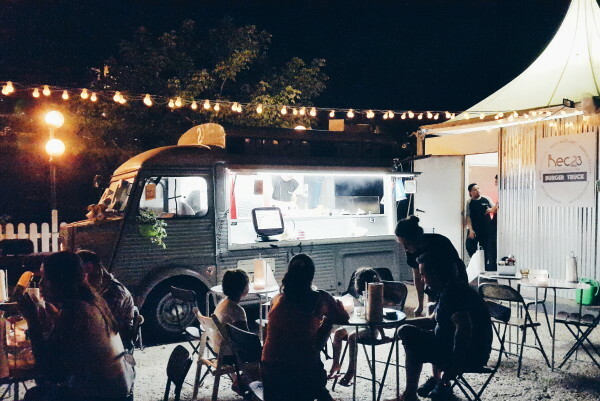 This is a rundown of my favourite events which will be taking place during the end of July up to about the end of August in some of the main tourism destinations such as Marche, Tuscany and Sardinia.